The lionfish is a venomous fish that blends well amongst the coral reefs or rocky terrains. The fish is covered in prickly spines that carry toxic venom. Lionfish do not attack humans, but are territorial creatures and can inflict painful stings with the release of potent venom. What are the Causes of Lionfish Sting? What are the Signs and Symptoms of Lionfish Sting? How is First Aid administered for Lionfish Sting? If a Lionfish Sting (or sting or bite of a marine creature) is suspected, it is always important to call your local emergency helpline number (or 911 in the US) without any delay, and provide as much information as possible, even if the individual does not have any symptoms. Who should administer First Aid for Lionfish Sting? What is the Prognosis of Lionfish Sting? 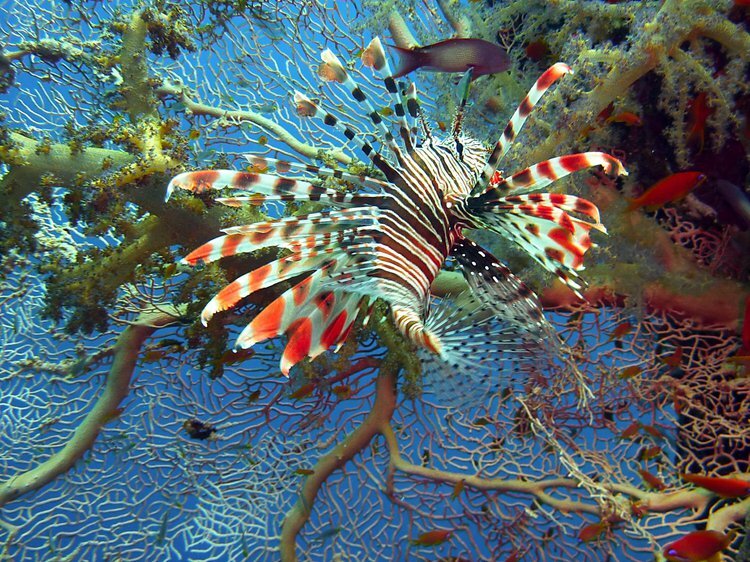 The prognosis of Lionfish Sting is dependent on the potency of the toxin, the severity of reaction, and timely manner in which treatment is administered. How can Lionfish Sting be Prevented? Aldred, B., Erickson, T., & Lipscomb, J. (1996). Lionfish envenomations in an urban wilderness. Wilderness & environmental medicine, 7(4), 291-296. Vetrano, S. J., Lebowitz, J. B., & Marcus, S. (2002). Lionfish envenomation. The Journal of emergency medicine, 23(4), 379-382. Auerbach, P. S., McKinney, H. E., Rees, R. S., & Heggers, J. P. (1987). Analysis of vesicle fluid following the sting of the lionfish Pterois volitans. Toxicon, 25(12), 1350-1353. Garyfallou, G. T., & Madden, J. F. (1996). Lionfish envenomation. Annals of emergency medicine, 28(4), 456-457. Patel, M. R., & Wells, S. (1993). Lionfish envenomation of the hand. The Journal of hand surgery, 18(3), 523-525. Badillo, R. B., Banner, W., Morris Jr, J., & Schaeffer, S. E. (2009, January). A case study of lionfish sting induced paralysis. In Clinical Toxicology (Vol. 47, No. 7, pp. 732-732). 52 VANDERBILT AVE, NEW YORK, NY 10017 USA: INFORMA HEALTHCARE. Rosson, C. L., & Tolle, S. W. (1989). Management of marine stings and scrapes. Western Journal of Medicine, 150(1), 97. Satora, L. (2008). Lionfish envenomations in Poland. Przeglad lekarski, 66(6), 285-286.